Abdel-Kader SALIFOU of France, the 23 seed and the winner in Egypt, Croatia and Morocco faced early depart; he was beaten in the first round of the Men’s Singles event at the GAC Group 2013 ITTF World Tour Czech Open in Olomouc. 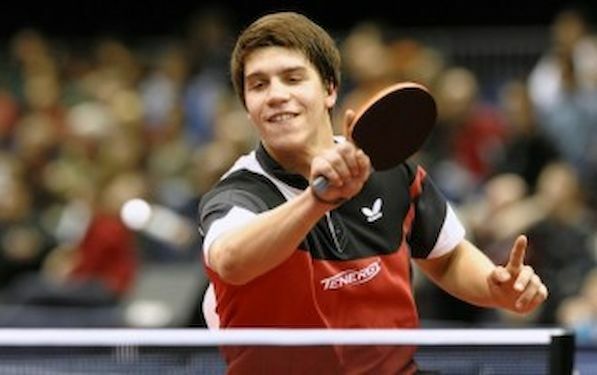 Germany’s Steffen MENGEL accounted at French player, before he beat another surprise winner of the opening stage match. Serbia’s Zolt PETE inflicted the pain in host nation supporters by beating Dmitrij PROKOPCOV, the no.10 seed by the minimal margin in the deciding seventh game. However in the next round PETE lost against MENGEL in straight games. Another Serbia’s representative, Marko JEVTOVIC lost in the second round against Quentin ROBINOT of France. In the lower half of the draw Patrick FRANZISKA of Germany overcame his compatriot Lars HIELSCHER after he scored against Peter SEREDA of Slovakia. In Women’s Singles Event Renata STRBIKOVA, the no.19 seed, was beaten by Russia’s Yulia PROKHOROVA, a player who had been required to negotiate two days of qualification matches. The Czech Republic suffered at the hands of Russia; in the lower half of the draw the scenario was reversed, Russia suffered at the hands of the Czech Republic. Anna TIKHOMIROVA, the no.16 seed, was beaten by Hana MATELOVA, like Yulia Prokhorova, a qualifier. LI Jiao of the Netherlands, the no.2 seed, accounted for Poland’s Kinga STEFANSKA; whilst Germany’s WU Jiaduo, the no.5 seed, ousted Romania’s Camelia POSTOACA and the host nation’s Iveta VACENOVSKA, the no.4 seed, defeated Russia’s Maria DOLGIKH.